This has been making the rounds lately and I thought it was pretty funny. 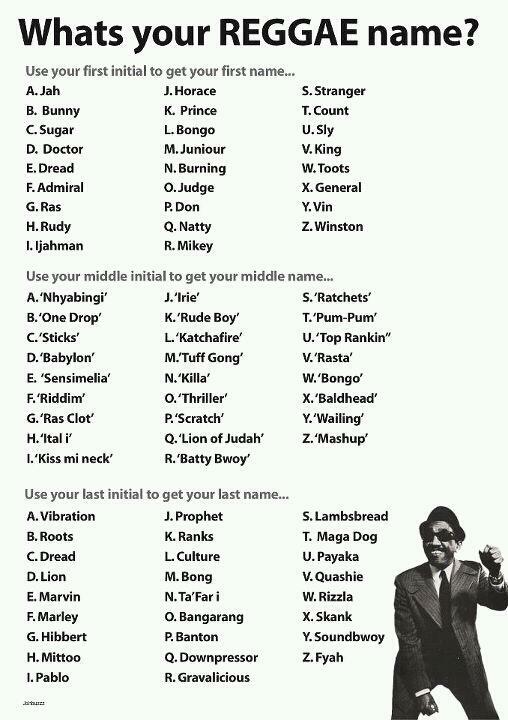 Mine is King ‘Irie’ Banton. Um, OK. 😀 So what’s your reggae name?